Most parents are initially quick to blame their teen’s melancholy mood on haywire hormones and may attempt to coax them from their gloominess by telling them to “Just snap out of it” or even enrolling them in boot camps or military schools to toughen them up. However, there can be more to teen depression than meets the eye. Both clinical and situational depression can have far reaching implications in your teen’s life. Knowing the difference between the two is important if you want to determine the right course of action to take to prevent your child from venturing deeper into depression, suicidal thoughts or self-harm and taking you along for the ride. 1. The Onset, Causes and Duration. Situational depression (also known as adjustment disorder) is usually triggered by a traumatic event that changes a person’s normal life. 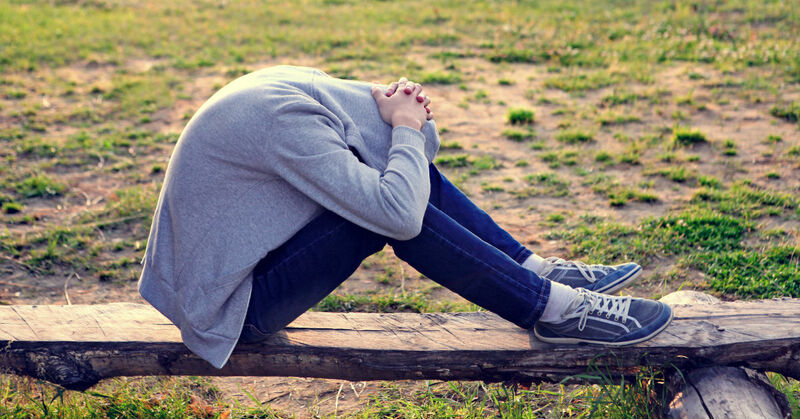 Your teen might develop symptoms of situational depression within 90 days following tragic events such as their parents’ divorce, the death of a loved one, surviving a car accident, etc. Clinical depression, on the other hand, is typically associated with chemical imbalances in the brain and can occur at any time, with or without a trigger. Additionally, situational depression is often short-term and usually abates once the stressors are no longer present or as your teen learns to cope with them, while clinical depression is more pervasive and prolonged. These two forms of depression share core symptoms such as anxiety, listlessness, changes in sleep patterns, withdrawal from family and friends, feelings of hopelessness, inability to concentrate, suicidal thoughts and a loss of interest in previously pleasurable activities. However -and most importantly- teens with clinical depression also experience hallucinations, delusions and other psychotic disturbances. Another significant distinction between clinical and situational depression lies in how they’re diagnosed. According to the American Psychiatric Association, a person must show 5 or more symptoms from specific criteria for most of the day, nearly every day over a 2-week period. In addition, the symptoms should be debilitating enough to hamper the person’s ability to go about their normal lives. Situational depression responds well to self-care measures such as eating healthy, exercising, getting adequate sleep, joining a support group or talking to loved ones. Professional help is only required if symptoms persist longer than 6 months. Conversely, a combination of psychotherapy and medication is used to treat clinical depression. It’s hard for a layperson to tease apart the type of depression your teen might be struggling with. That duty falls on a trained professional who will determine not only the specific type of depression but also the medication and treatment required. The therapists and psychiatrists at Sundance Canyon Academy are highly qualified to assess your teen in order to come up with an individualized treatment plan that caters to their needs. Call us on 866-678-2425 and let us give your teen the help they desperately need.